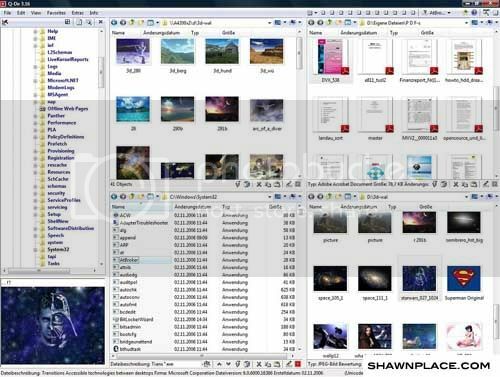 In brief, Q-Dir is a freeware that enable Windows user to rearrange the Window Explorer to 4 separate views, namely quadro-view. Furthermore, it provide variety of file additional management features such as color coded file filters, customizable layouts and columns, quick access to favorite file and folder, and etc. Lastly, the features also covering export of directory listings (.txt, .doc, .html, .csv), color themes, network support, support for all Explorer views and etc.